American beauty. English duke. Disastrous marriage. In the 1890s, when she was only sixteen, Gladys met Sunny, then just married to Consuelo, and decided that she wanted him. 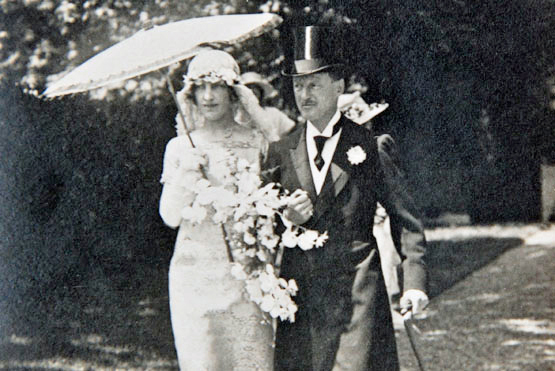 It took her nearly twenty-five years, but on 25 June 1921 she finally achieved her objective when the couple were married in Paris. Her bridal gown was ‘of gold tissue specially woven in Italy for the occasion’, announced The Times. ‘The Court train is of gold tissue, and the veil, of old needle-point lace, [is] arranged like a coronet.’ That veil hid a slight but curious secret. Years before, Gladys had tried to improve on her considerable good looks by having paraffin wax injected in her nose. The procedure was not a success: the wax slipped and left her with a permanently bulky jaw. 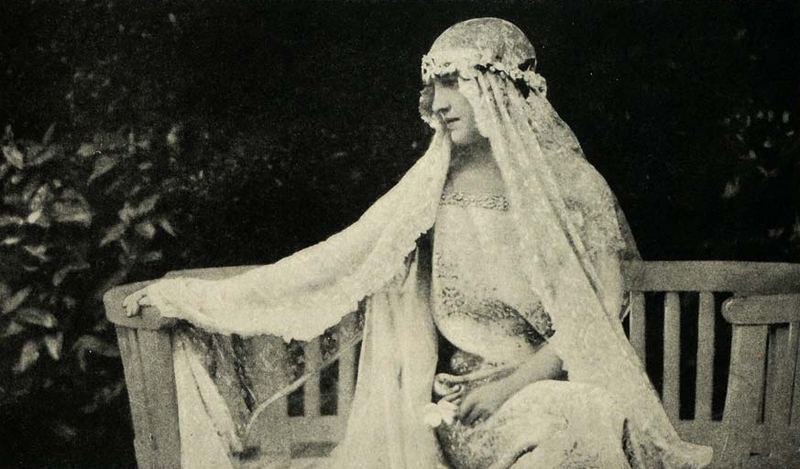 Sunny and Gladys on their wedding day. The newly-weds settled in at Blenheim Palace and Carlton House Terrace, and Gladys took up the role of duchess with ease. There were house parties at Blenheim and receptions at Buckingham Palace – in 1923 she was presented to George V and Queen Alexandra, ‘wearing a classically draped dress of silver lamé with a ceinture of silver embroidered in diamanté’. She turned to breeding Blenheim spaniels, and was so successful that they overran the Palace and drove the duke to distraction. This, coupled with Sunny’s conversion to Catholicism and Gladys’s dangerously erratic behaviour – she famously produced a revolver at dinner one night and, when one of her guests asked nervously what it was for, replied ‘Oh, I don’t know. I might just shoot Marlborough’ – led to the break-up of the marriage. 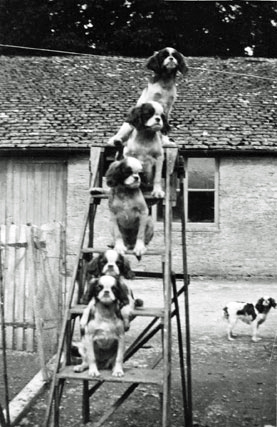 In 1931 Sunny fled Blenheim, and for several years Gladys and her spaniels had the place to themselves, while she hired private detectives to follow her husband and report on his various affairs. In 1933 Sunny had the gas and electricity to Blenheim cut off. Gladys retreated to their London house, but he cut off the power there too, and then had her evicted. Only his sudden death the following year prevented their divorce. In widowhood, Gladys the dowager Duchess of Marlborough moved to a Northamptonshire village where she lived a reclusive and nocturnal life surrounded by cats until 1962, when she was moved – against her will – to a geriatric hospital in Northampton. She died there in 1977, aged 96.